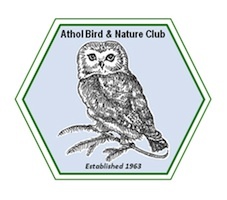 The Athol Bird and Nature Club was formed in 1963 to “enhance the appreciation of natural history in the North Quabbin Region”. Founded by Robert Coyle, an eighth grade science teacher at the Athol Junior High School, the Club was a spin-off of the science curriculum which included studies in astronomy, geology, geography, and field ornithology. Bob retired in 1988 moving the Club and the extended natural history museum out of the school, where space was at a premium. The Club has grown in the last decade and is now a non-profit 501(c)(3) organization with a diverse membership from around the region and beyond. The Club takes pride in its leadership role in natural resources education and conservation in the North Quabbin Region. Integral to our mission, as ABNC is a managing partner of the Millers River Environmental Center, is a strong emphasis on the education and training of area citizens to enhance their appreciation for, connection with, and stewardship of the rich natural resources of the region. The Club’s extensive Natural History Collection was housed in historic Memorial Hall in Orange until that hall fell to the bulldozers. The collection was then packed up in safe storage for three years, thanks to the generosity of the Orange Historical Society. In 1999 the collection was moved to the Millers River Environmental Center.